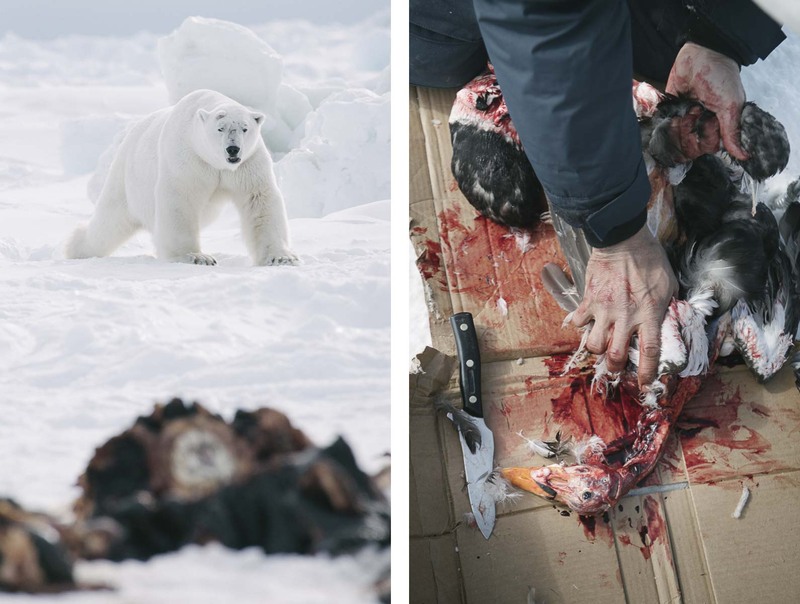 Left: A large male polar bear investigates the freshly butchered carcass of a bowhead whale. Right: Elder Nuyaagiq Ahyakak skins a common eider at whaling camp. Food at whaling camp today is often store-bought for its portability and shelf life, but opportunistic subsistence foods like eider are welcomed and preferred.